Margaret Sharbel, a senior at Auburn University, learned that despite language barriers, a simple smile and laughter and transcend cultures. What a fun afternoon! 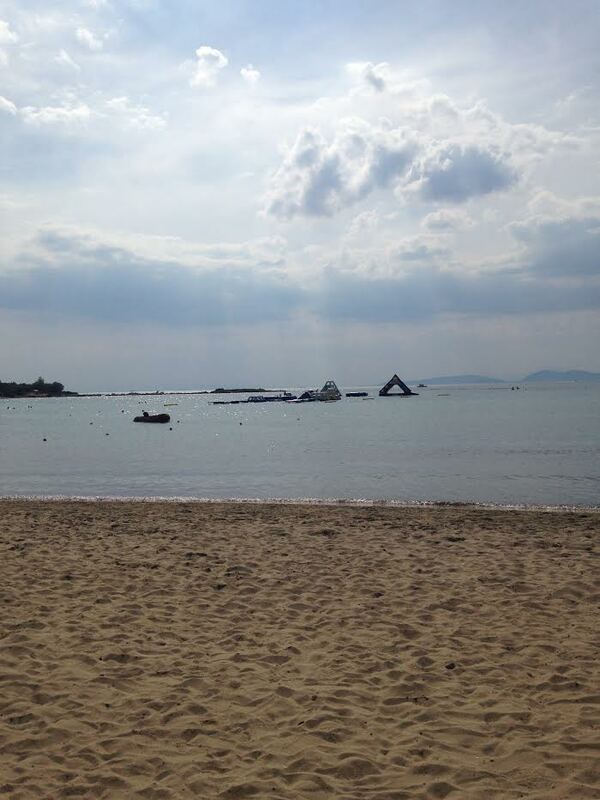 Yesterday, we went to the private beach in Glyfada to relax and get a little sun. The weather was perfect and there were tons of people on the beach, as it was a Greek holiday. A few of us had noticed that out in the water, there were water inflatables, including a slide, a rock climbing wall, and even a water trampoline!!! I’m a child at heart so naturally this caught my eye. After a while, we decided to swim out and play (even though no one under the age of twelve was out there). We started out on an inflatable tube that you were supposed to try and run across without falling off…which proved to be pretty much impossible, or so we thought. As we all went crashing into the water, we heard a burst of laughter from another inflatable. A young Greek boy who was probably only nine or ten years old was over there cracking up at us! He and his friend came over and showed off their skills…turns out it was a cake walk for them to run across the impossible tube bridge. They challenged us to the next obstacle, and of course, none of us could stay on without clumsily slipping into the water. Each time, without fail, the two boys would burst into a fit of giggles. Eventually, we got tired and swam back to shore. We kept talking about how much fun we had and how precious the little Greek boys were. I realized that none of us had even spoken a word to them, as we spoke no Greek and the boys spoke no English. I was hit with the realization of how powerful a smile or a laugh can be: it unifies us all over the world. A smile and a laugh is a joint symbol of joy and good times, no matter where you are. Wherever you are, I challenge you not to worry about the differences between you and someone, and instead find the joy that you share.